Wars across Syria, Iraq, and Afghanistan have sent millions of refugees fleeing to Europe in recent years, the majority of them Muslims. How to integrate these refugees into liberal (but often illiberal to outsiders) Western societies is a topic of intense debate. 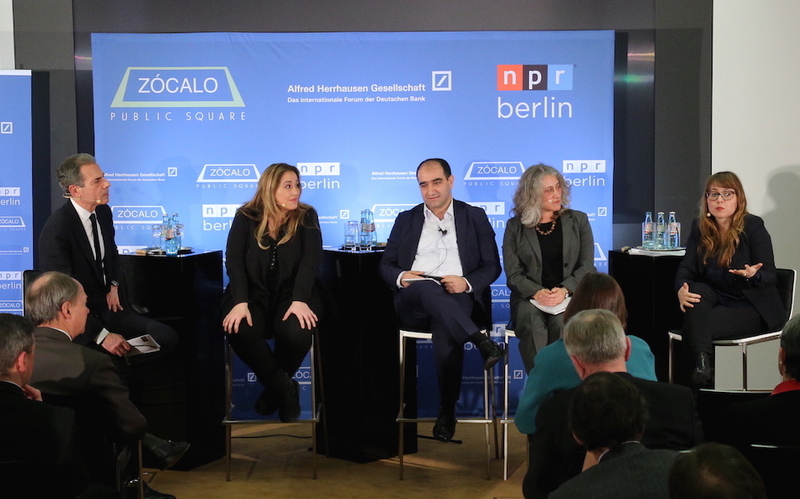 In the case of Germany, the open embrace of refugees by Chancellor Angela Merkel has added urgency to longstanding soul-searching about what it means to be German, particularly for newly arrived immigrants, and even their children. 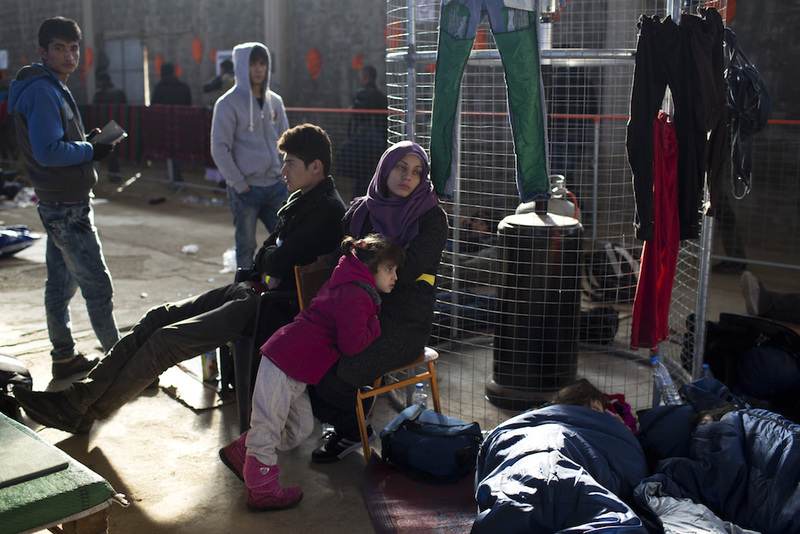 What steps can countries take to ensure that new arrivals will feel at home? “Integration is a complex process. It’s not something that immigrants, refugees, or their host communities can achieve in isolation overnight,” said John Emerson, the U.S. 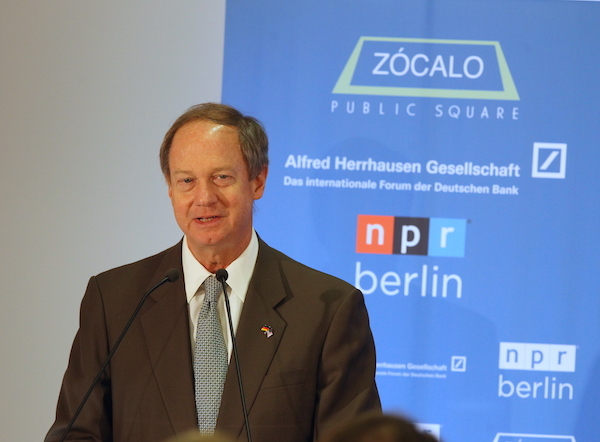 Ambassador to Germany, in his opening remarks to “What Does Muslim Integration Look Like?” a Zócalo Public Square event in Berlin on Thursday night, produced in partnership with the Alfred Herrhausen Gesellschaft and NPR Berlin. 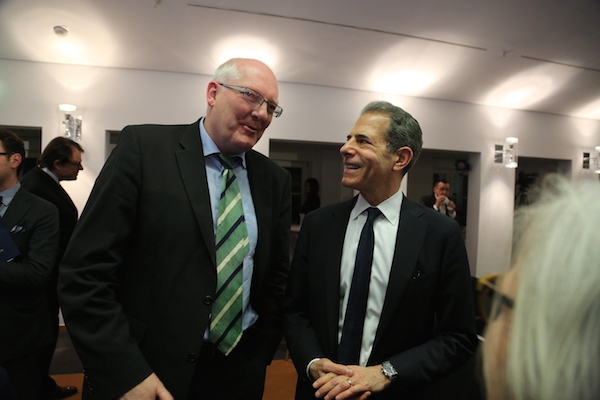 His introduction kicked off a far-reaching panel discussion, moderated by Rick Stengel, the U.S. Under Secretary of State for Public Diplomacy and Public Affairs. 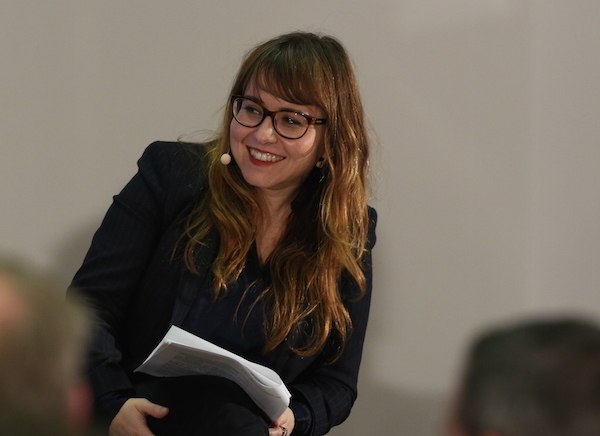 Before the panelists weighed in, Riem Spielhaus, a researcher at the Erlanger Center for Islam and Law in Europe, gave a brief overview of the present state of Muslims in Germany, and spelled out three basic problems with the way people talk about them. First, she said, was the “Islamization” of immigrants; despite Muslim immigrants’ wish to be identified as German once they gain citizenship, they’re still referred to as Muslim. Meanwhile, non-Muslim immigrants from Poland or the Balkans or elsewhere who might face their own set of challenges now go ignored in a new context that equates, almost by definition, “immigrant” with “Muslim.” Second, Spielhaus said, mosques and Muslim communities themselves are only talked about as sources of alienation, instead of being recognized as facilitators of integration, despite the fact that many provide tutoring and counseling for new arrivals. And third, German law, for all its professions of equality and non-discrimination, still doesn’t treat Muslims as equals when it comes to the practice of one’s faith. The burial of the dead according to Muslim customs, for instance, is not allowed in every German state. Cemile Giousouf, also a federal legislator of Turkish ethnicity, aligned with Merkel’s Christian Democratic Union, argued that symbols only go so far. “This is all about structures,” she said. “We can build up our own imams [Muslim religious leaders]. And we can also have our own teachers at schools who can teach Islamic education. 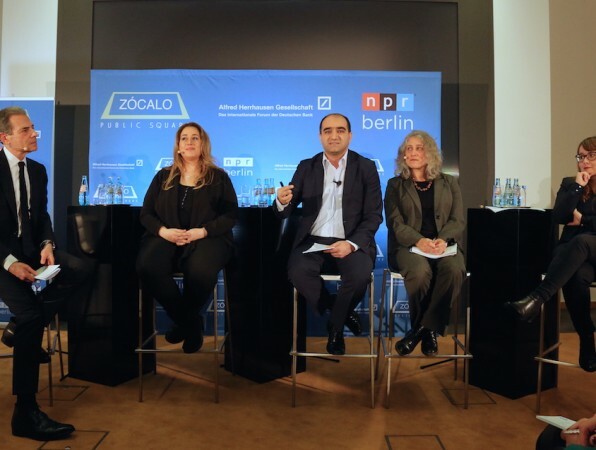 I think Germany is the country in all of Europe that is working most successfully on these points.” Even amid rising Islamophobia, “90 percent of very religious Muslims are saying ‘Germany is my country,’” she pointed out. One power that’s leveling the playing field, Baydar pointed out, is social media. Baydar herself has thrived on her YouTube channel, and she believes new platforms are giving voice to otherwise voiceless groups. “It’s an advantage, an opportunity for minorities to express themselves,” she said. 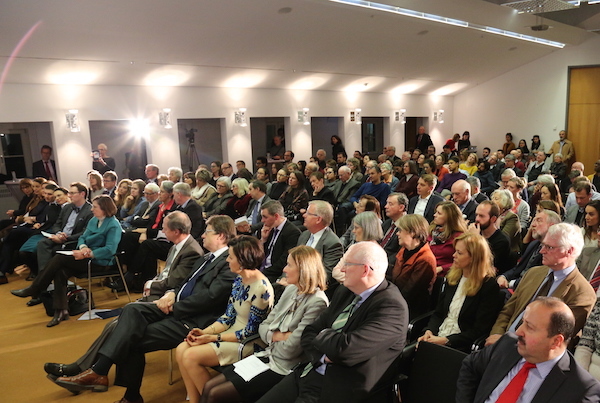 “This is a defining moment in German history,” Singer said, and added that she believes Germany is on the right track. 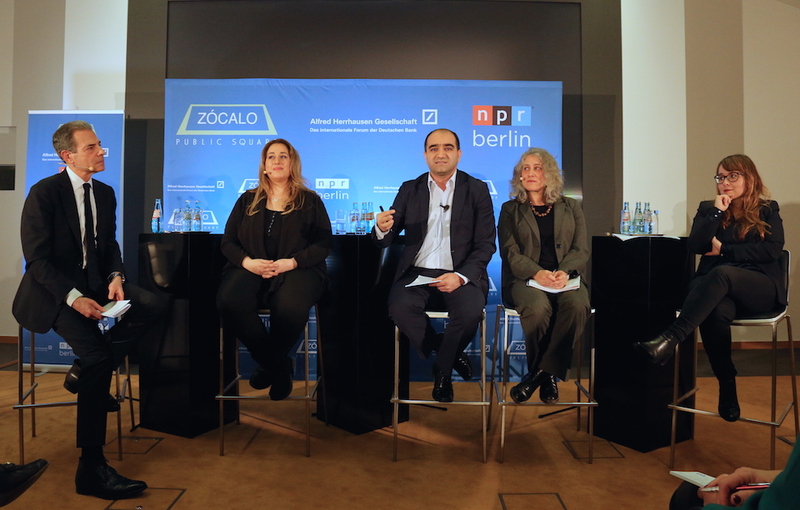 Major shifts in attitude, and the change to laws that once stigmatized German-born kids as “guest workers” signal big changes in the country’s approach to Muslim immigrants. 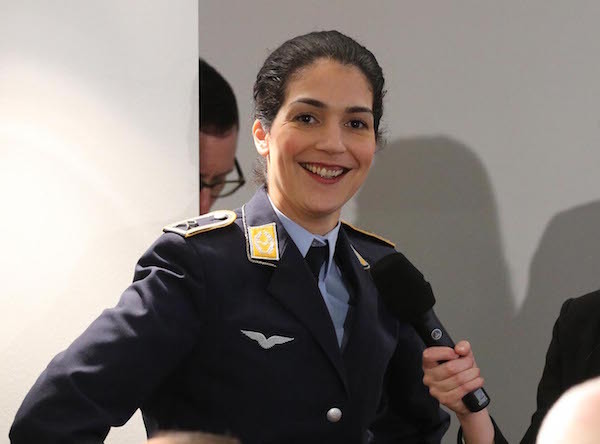 During a lively question-and-answer period that engaged the standing-room only crowd, Nariman Reinke, a German soldier of Moroccan descent in her 12th year of military service, said: “I’m a German soldier, look which flag I’m wearing.” And yet, the military doesn’t offer the same religious support for Muslims as it does for Christians. “[While deployed,] I’d always ask myself, what if I get killed?” Would a Christian chaplain inform and comfort her Muslim mother? Stengel, for his part, was careful to remind the audience that the United States had also been slow in its quest for equality before the law. The Under Secretary cited Martin Luther King Jr.’s description of our Constitution in his “I Have a Dream” speech as a promissory note that has yet to be fully honored—a metaphor German Turks can appreciate.